From the curveball of rail strikes upsetting Paris’ transit system to the student strikes protesting Macron’s higher education reforms, I came to realize that the people hold a great amount of power over the city. Paris would not be Paris without the people. When the people want to speak out for their beliefs they do. Whether they want to defend their rights or demand change, they act on it. The Paris I see today is not the same Paris I saw when I first arrived. This city is a hub of life. It was an incredible experience to live in it and to participate in it. Through the challenges and small triumphs of daily life, I learned a lot about myself and the world around me. I don’t care if it’s a cliché because it’s actually true. It was one amazing semester that I am incredibly thankful for and if I could do it over again right now, I would. 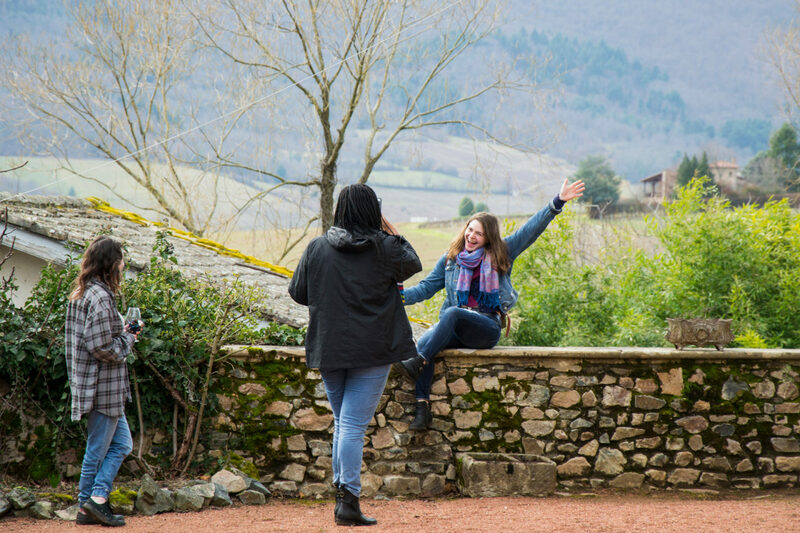 Christelle Taraud teaching her class "Les « Arabes », l’islam et la vie politique en France (1962-2017)"
Visiting a vineyard in Beaujolais during the weekend trip. 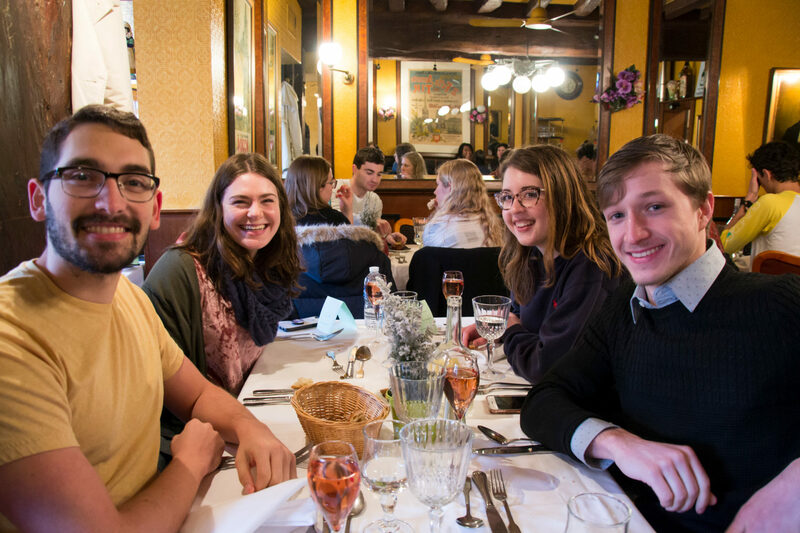 Spring students during our group lunch in Rouen. If I’m being completely honest, I don’t think I’ve ever had an average day here. There’s always this temptation to hop on the bus or the metro and go somewhere wonderful.